What a blessed visit to Glorious Ascension Monastery I just enjoyed. I had looked forward to this trip for quite some time, having several friends who have visited here, and knowing of a couple of monastics who took their first steps at Resaca. 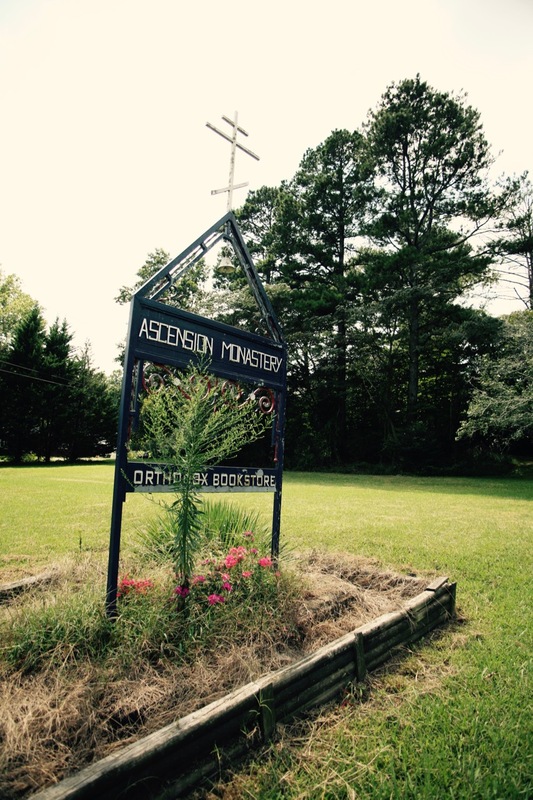 My heartfelt thanks to Sister Christonymphi for the monastery’s hospitality (featuring a comfortable and welcoming guest house a short walk from the chapel and main monastery), and to Fr. Benedict (the monastery chaplain) and the extended members of the community: Reader Barsanuphius, Reader Cassian, and several others. 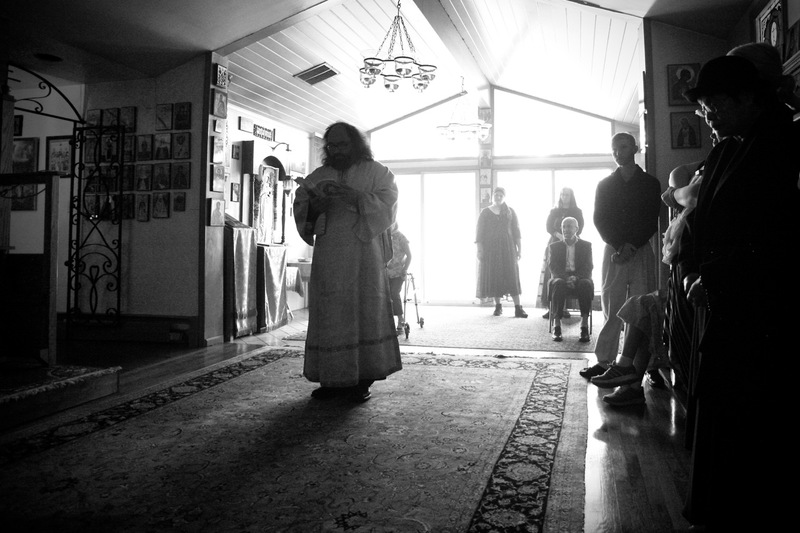 A large number of visitors (including several “regulars) were present for the Lord’s Day, and it is readily apparent that this is a thriving, intentional Orthodox community. 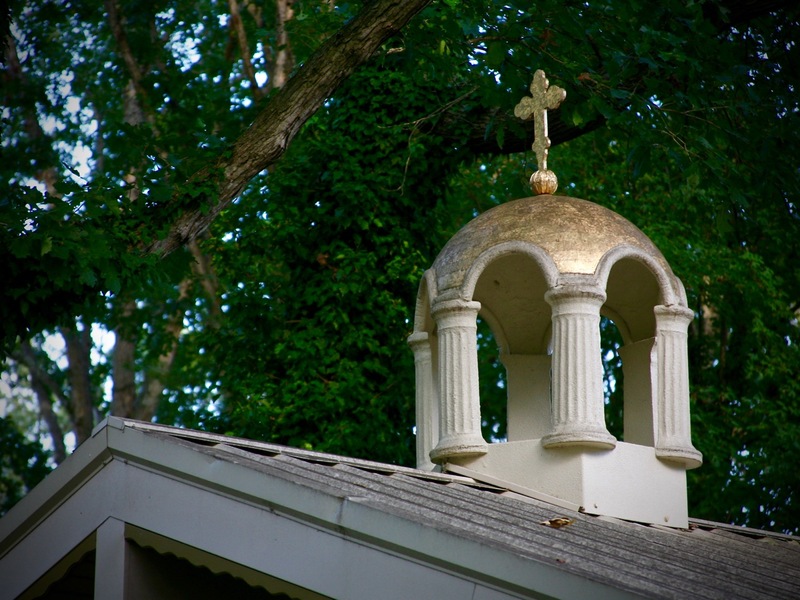 The monastery is located in Resaca, Georgia, about 60 miles northwest of Atlanta along I-75, near Dalton. 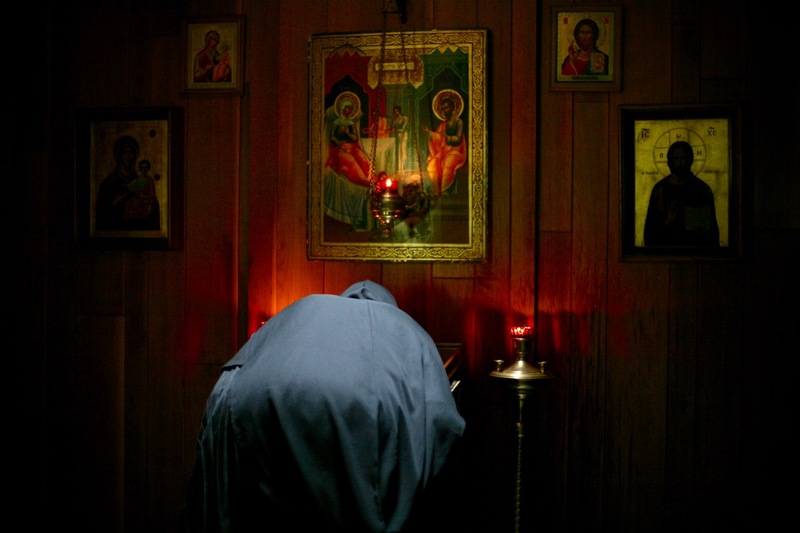 The monastery was founded in 1966 and was received into the Orthodox Church in America in August 1977. 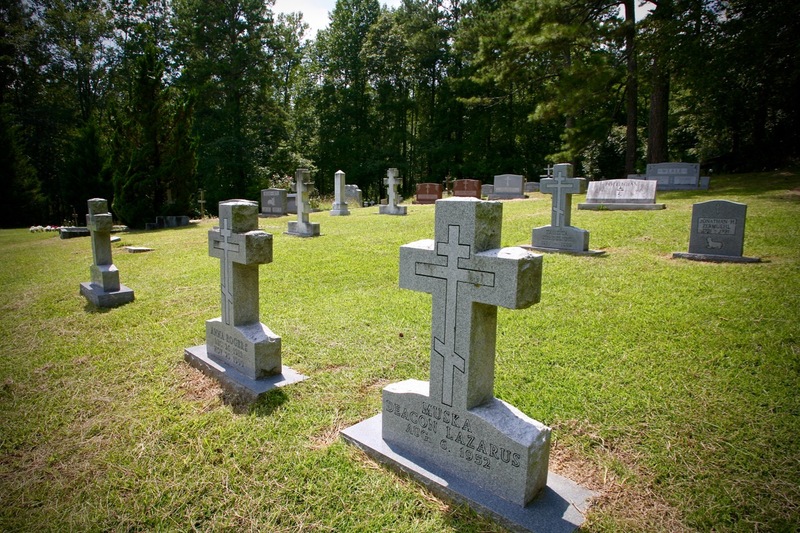 In 1980, the Brotherhood moved from Mississippi to Resaca, Georgia. 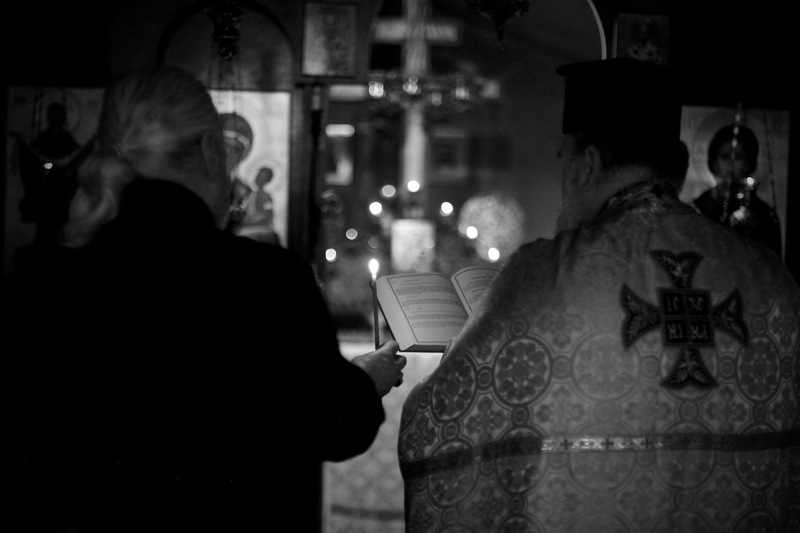 After 20 years in the OCA, the Brotherhood entered the Russian Orthodox Church Outside Russia (ROCOR). 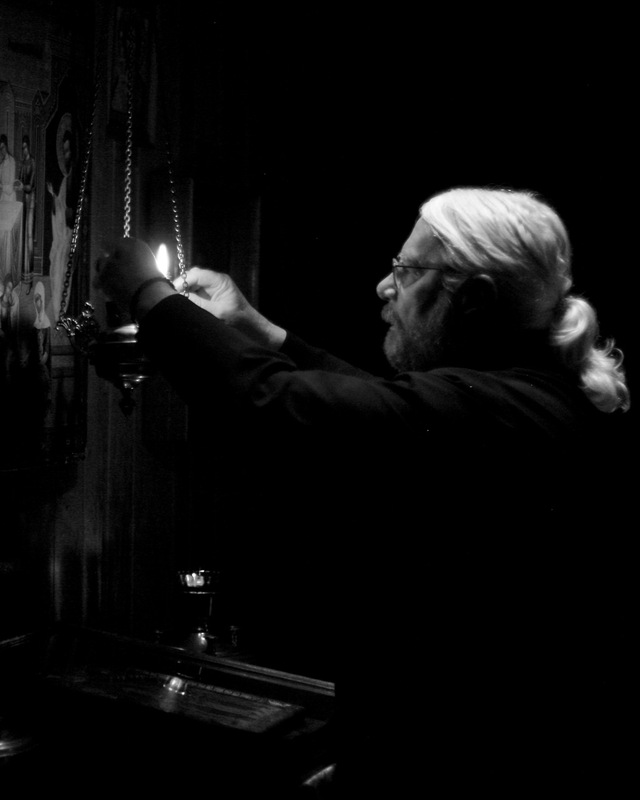 In 2003, after receiving a canonical release from Metropolitan Laurus of the Russian Orthodox Church Outside Russia (ROCOR), the Monastery was received into the Patriarchate of Jerusalem from ROCOR and made part of the Brotherhood of the Holy Sepulchre, which is the Brotherhood from the Monastery of Mar Sabbas in the Judean Desert that is responsible for maintaining and protecting the Church of the Holy Sepulchre and other holy sites and shrines in the Holy Land. 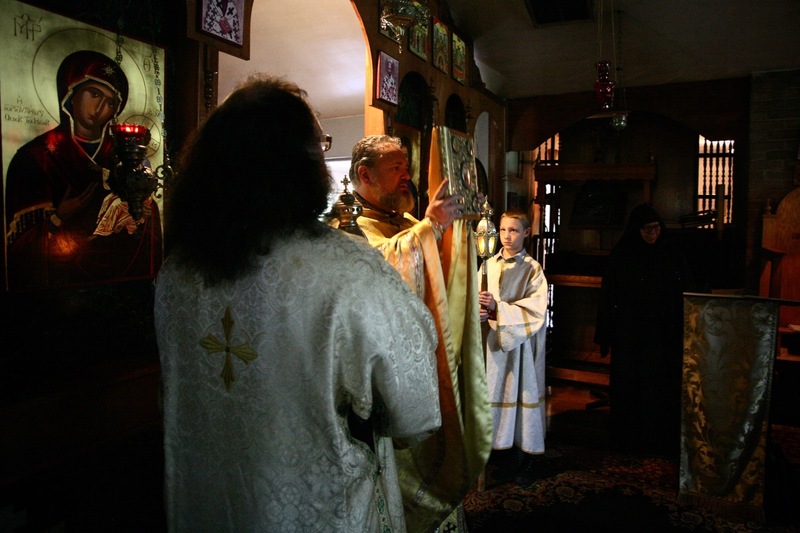 Following the dissolution of the parishes of the Jerusalem Patriarchate in North America and the establishment of the Vicariate for Palestinian-Jordanian Communities in the USA, the monastery was once again received into ROCOR in October of 2010. 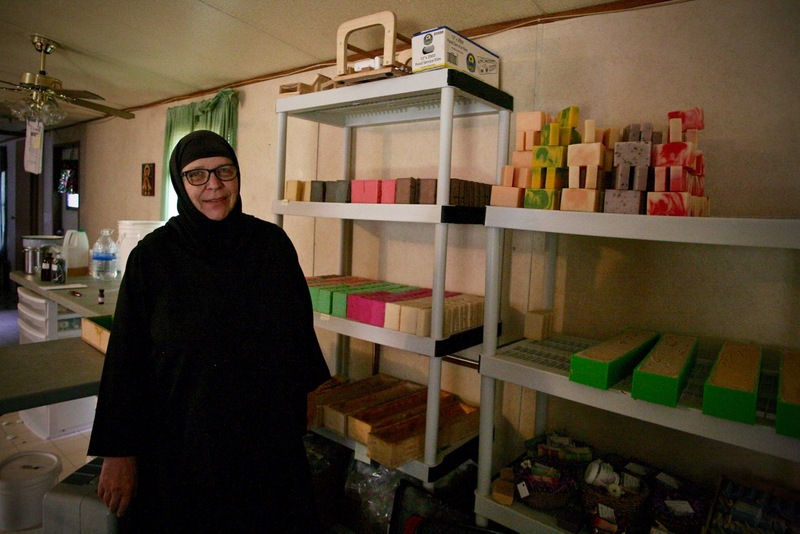 The monastery is now a convent for female monastics. 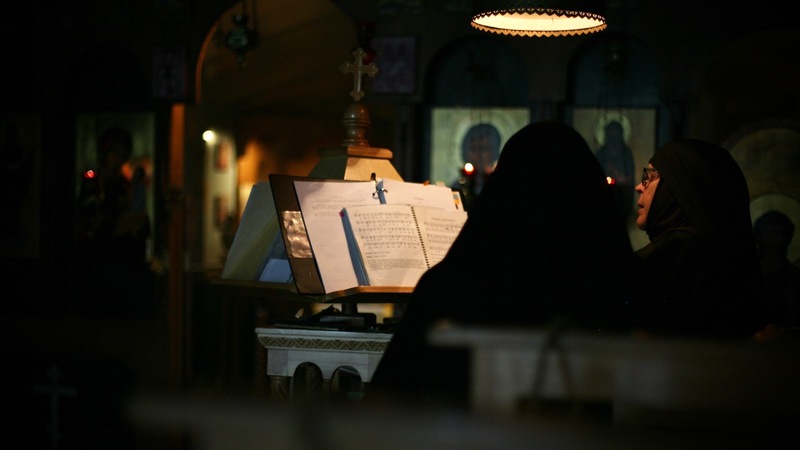 Liturgical functions and services are administered by the Priest, Benedict Simpson, who has been appointed chaplain of the monastery by Archimandrite Maximos (Weimar), with the blessing of His Eminence Metropolitan Hilarion of ROCOR. 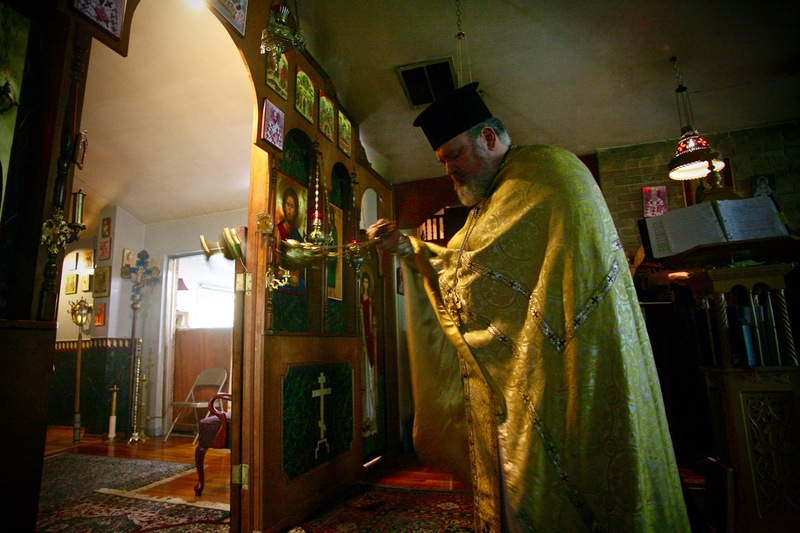 Being an intentional Orthodox community, weekend worship services are open to the public. Guided retreats (individual & groups) are being made available to those who want to delve deeper into their relationship with Christ within a monastic setting. 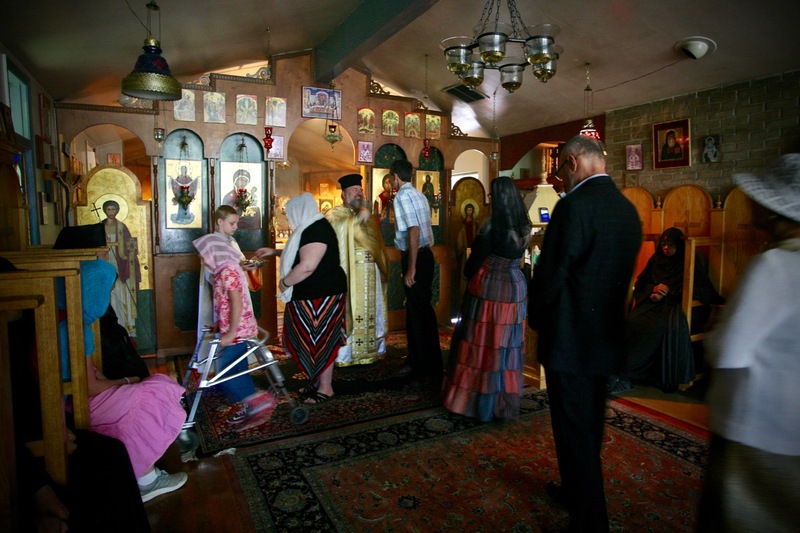 There is now a thriving Orthodox Christian community that has grown up around the monastery and services are well-attended. 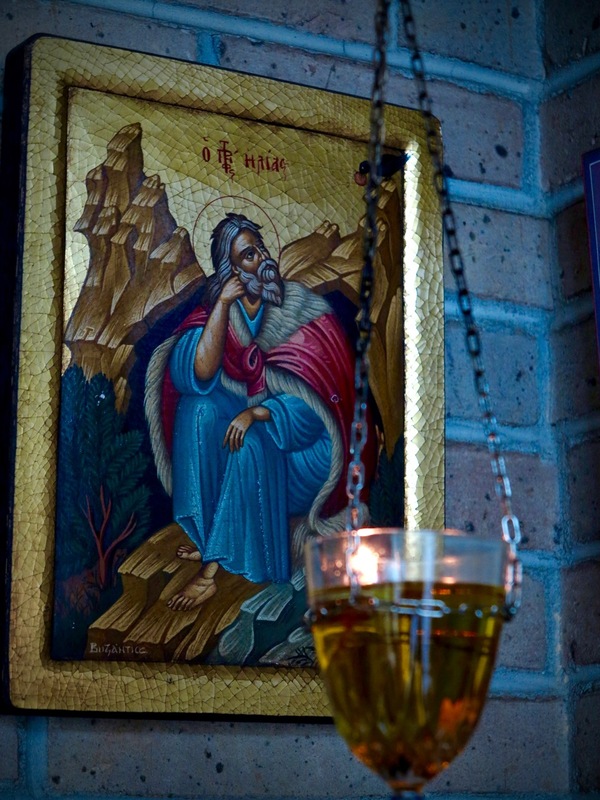 There are in residence two seemingly miraculous icons; one is of the Blessed Lady Theotokos (Myrrh-streaming) and one of St. Nicholas of Myra (self-restoring). Pilgrims and visitors are invited to contact Sister Christonymphi on the contact page or via phone regarding availability of the guest houses and for visitation schedule. Below are some photographs from my first visit to Glorious Ascension. Glory to God! Mother Mariamna venerates the Ascension icon in the exo-narthex. Sister Christonymphi and Mother Mariamna during Matins. 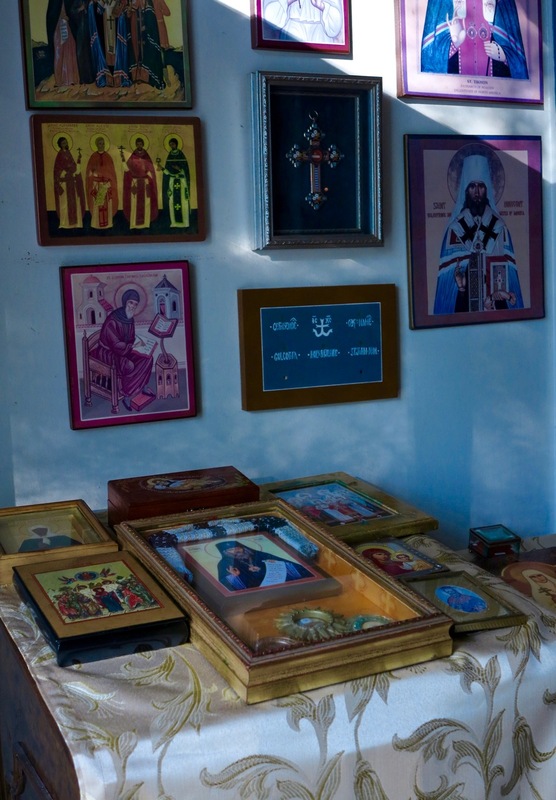 Icons & Relics, including three relics from St John of San Francisco. Fr. Benedict takes the censer from Reader Barsanuphius. Reader Cassian and Fr. Benedict. 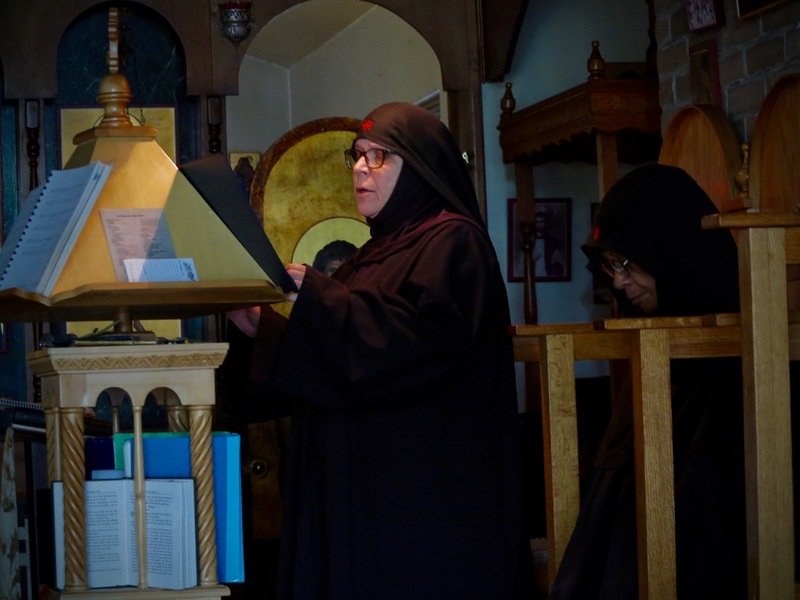 Reader Barsanuphius reads the Epistle during the Divine Liturgy. Rdr. Barsanuphius, Fr. Benedict, Altar Server Angelos at the blessing with the Gospel. The faithful kiss the cross at the end of the Liturgy. 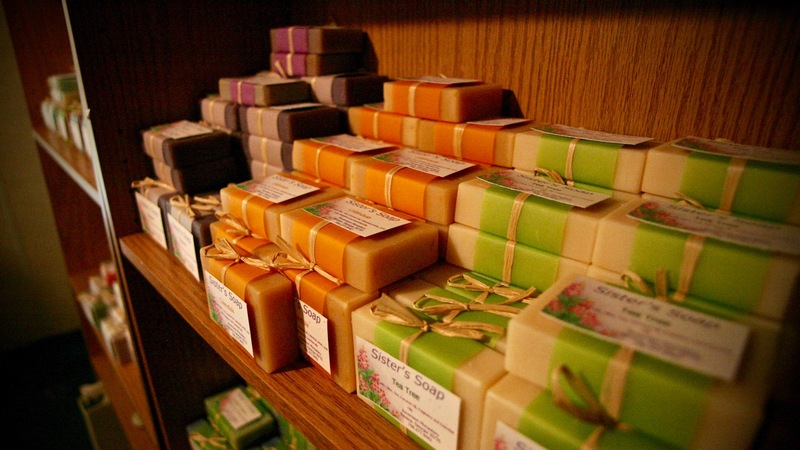 Sister’s Soap – One of the Monastery’s many products available for purchase. 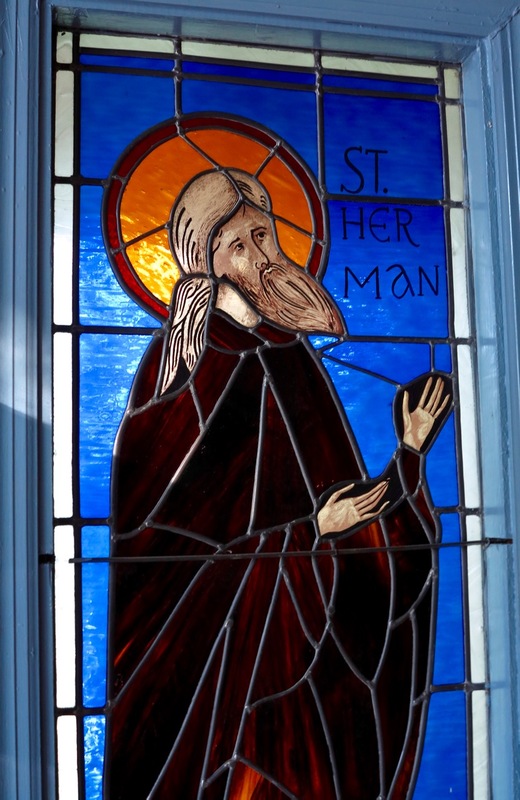 Stained glass of St Herman of Alaska, patron saint of the main chapel. 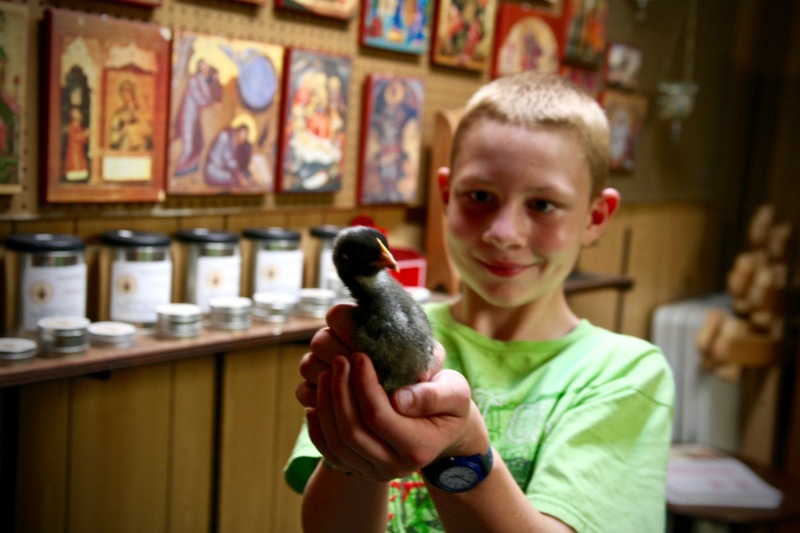 Angelos with one of the chicks, in the Monastery Gift Shop.